In Batman Beyond #5 released last month, it was revealed that the future Catwoman is the daughter of Danton Black (a.k.a. the Firestorm villain known as Multiplex). 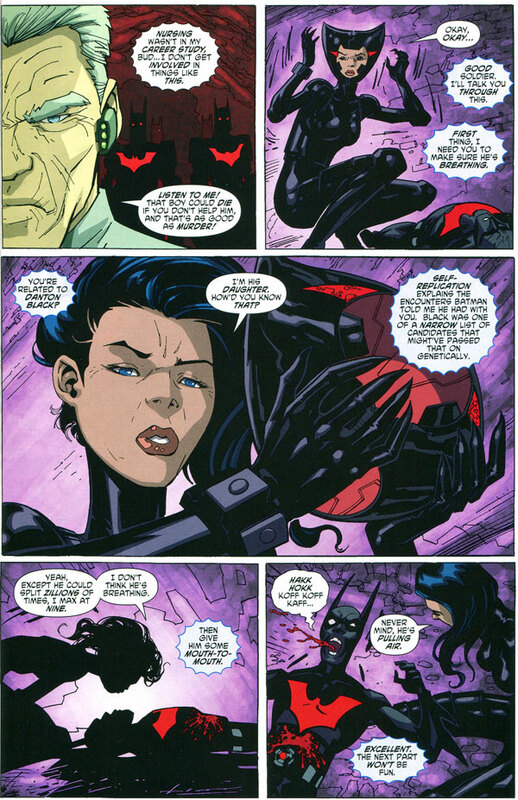 Below is a page from Batman Beyond #4 in which she demonstrated her duplicating ability. While her father could create a limitless number of replicants, she is apparently limited to nine. The page below from Batman Beyond #5 is where Catwoman Beyond’s lineage is revealed. 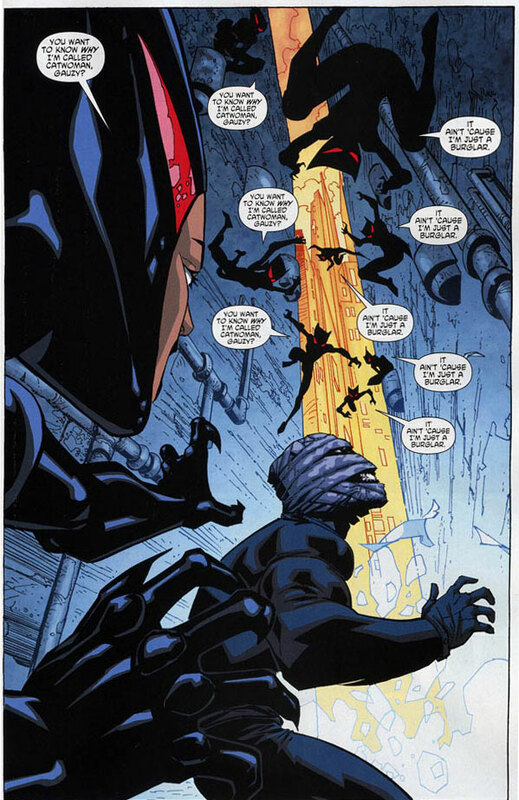 The Batman Beyond mini-series is written by Adam Beechen and drawn by Ryan Benjamin & John Stanisci. Given Multiplex’s relative obscurity, it’s really cool to see him tied into the Batman Beyond mythos. So now we’re left wondering who is the mother? And is the real Danton Black her father, or was it a duplicate?